Choosing the perfect gift can be tricky and time consuming. But don’t despair as we have a creative list of wonderful gifts to help you. Whether you want to buy them their first PANDORA bracelet or add to their collection, a PANDORA bracelet set will make her smile. My favourite bracelet set in the US is the specially priced Dazzling Wishes Bracelet Gift Set. This gorgeous set includes a PANDORA Smooth Bracelet, two Shining Elegance Clips and a Dazzling Wishes Dangle Charm. 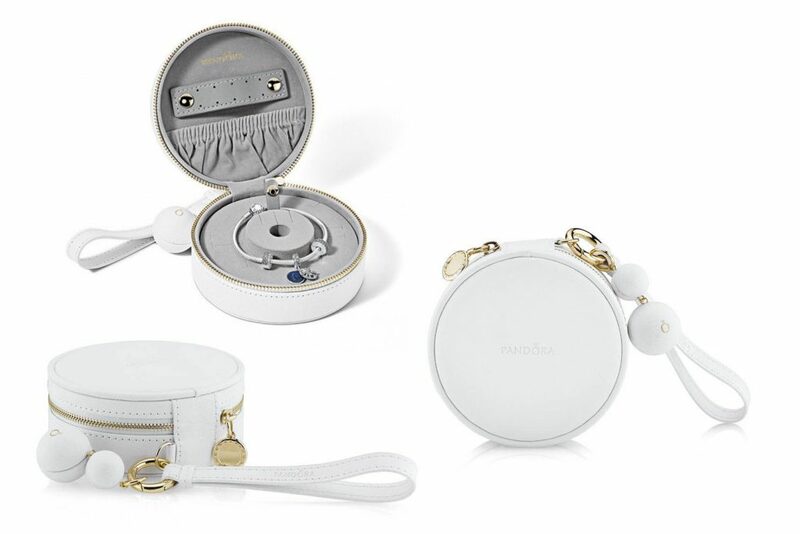 Plus the set also contains a beautiful gold and white Travel Case! 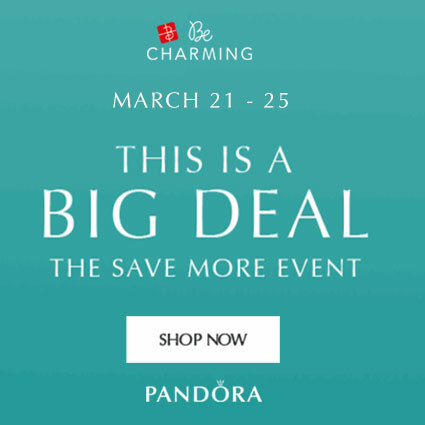 The Dazzling Wishes Bracelet Gift Set provides a retail value of $245 for $179 and is available from our preferred PANDORA retailer BeCharming.com. 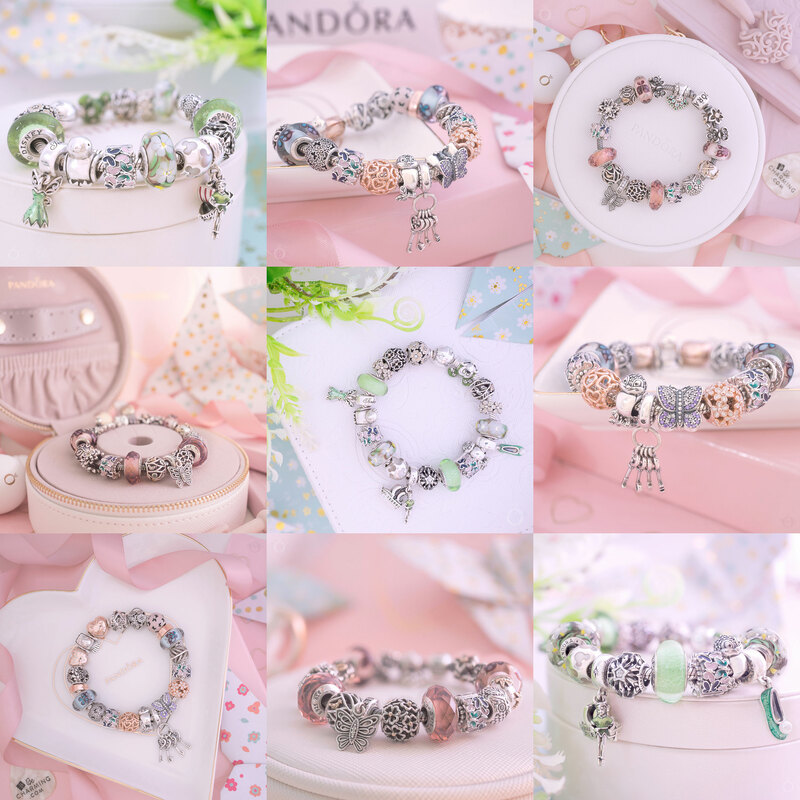 In the UK, the best option for a PANDORA bracelet set is to take part in the Build A Bracelet offer. Choose a silver Moments bracelet plus two clips, charms, spacers or safety chain for £99. Or build a PANDORA Rose bracelet for just £129. Both options provide a saving of 20% compared to each item being purchased separately. 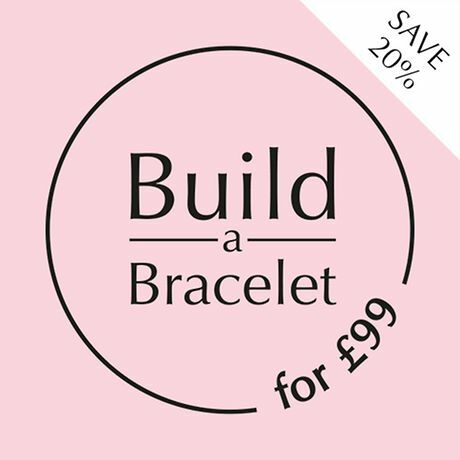 The Build A Bracelet promotion is available at the UK PANDORA eStore. Accessories are always appreciated. Add Bambi, Thumper and some flowers into the mix and you have the perfect gift! The Disney Bambi x Cath Kidston range launched just last week and is full of adorable designs! My favourites are the pretty Bambi Rose PJ Set, featuring Bambi, Thumper and Flower on a soft, cosy brushed cotton. Along with the luscious Bambi Rose Leather Crossbody Bag in dusky blue leather. Meanwhile the Bambi Tapestry Pouch and Bambi Keepsake Tray are both cute and practical! All are available from CathKidston.com and are currently part of a 3 for 2 promotion. Looking for a gift with a personal touch? Engraved jewellery will be cherished forever. 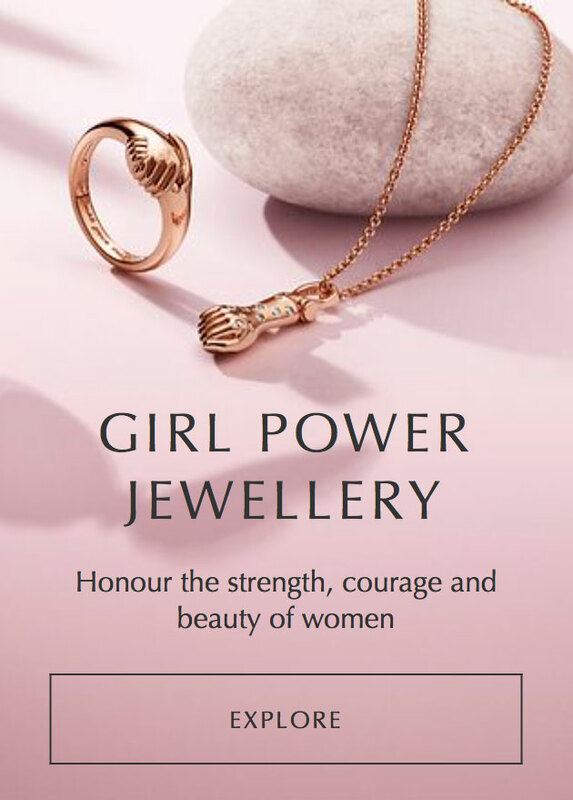 John Greed offer a wide selection of PANDORA jewellery which can be engraved with a personalised message. Anything can be engraved. A name, a special date, even a favourite quote! 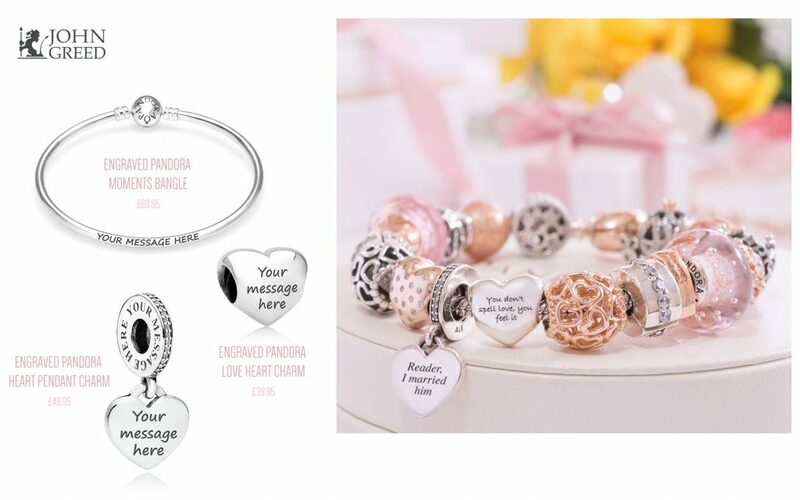 The classic PANDORA Moments Bangle, Heart Pendant and Love Heart Charm are ideal for an engraved message. John Greed are the UK’s only approved engraver of PANDORA jewellery. Trying to find a special something for the bookworm in your life? These Bookishly gifts have you sorted. 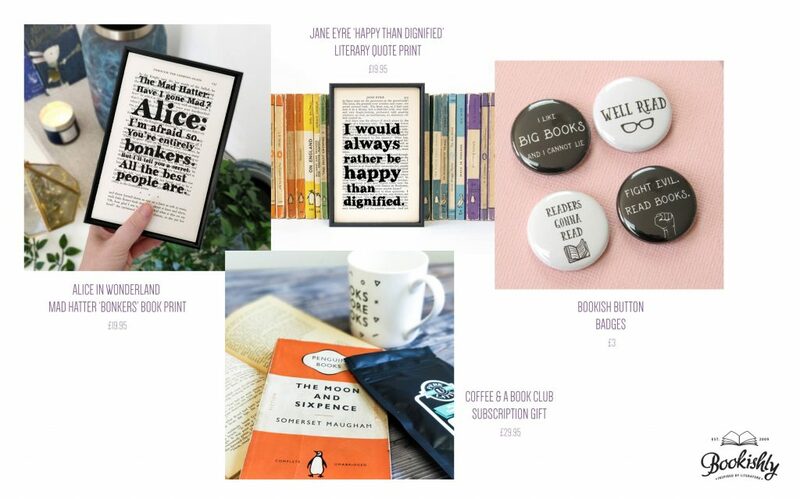 You’ll be spoilt for choice with all the lovely literary gifts Bookishly has to offer! Currently gracing my living room wall is the fantastic Alice in Wonderland Mad Hatter ‘Bonkers’ Book Print. Another favourite of mine, is the splendid Jane Eyre ‘Happy Than Dignified’ Literary Quote Print. Or choose a gift that continues to give with the Coffee & A Book Club Subscription Gift. Each month receive a surprise vintage paperback and delicious ground coffee. Add a little filler gift with a set of super cute Bookish Button Badges for just £3! Bookishly products are available from notonthehighstreet.com. For a non PANDORA jewellery option, choose a bespoke gold or silver bangle from Florence London. 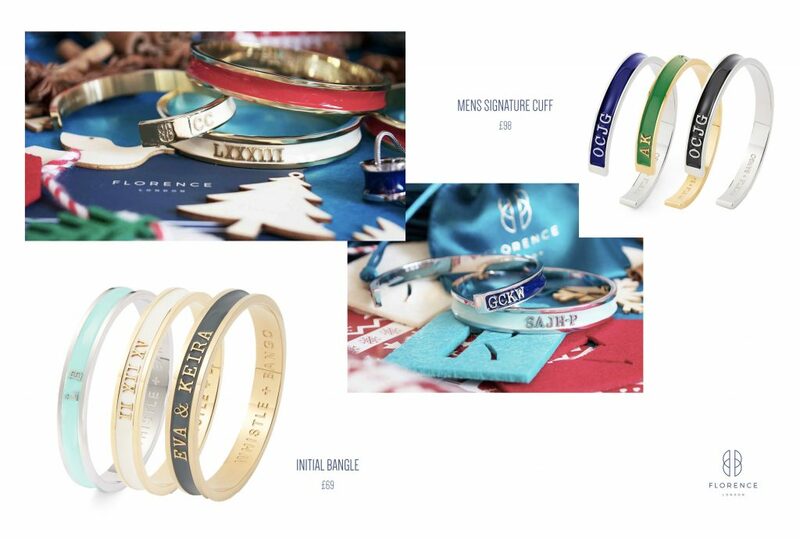 Lovingly hand-made by Rosie Florence, founder of Florence London, these beautiful bangles are sure to be treasured. Endorsed by Prince Harry, the Mens Signature Cuff is a wonderful gift option for a father, husband or son. While the Initial Bangle is perfect for the ladies. I’m in love with the mint and grey versions! Each piece of Florence London jewellery can be personalised with an initial, monogram, children’s names or initials or a special date. 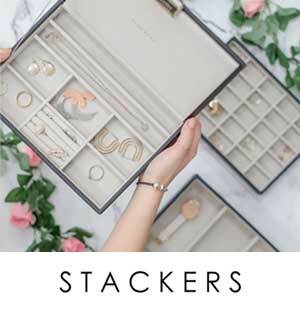 When it comes to storage solutions, Stackers are the Queen of Style! With so many gorgeous jewellery boxes in different pretty pastels, it is hard to pick just one! 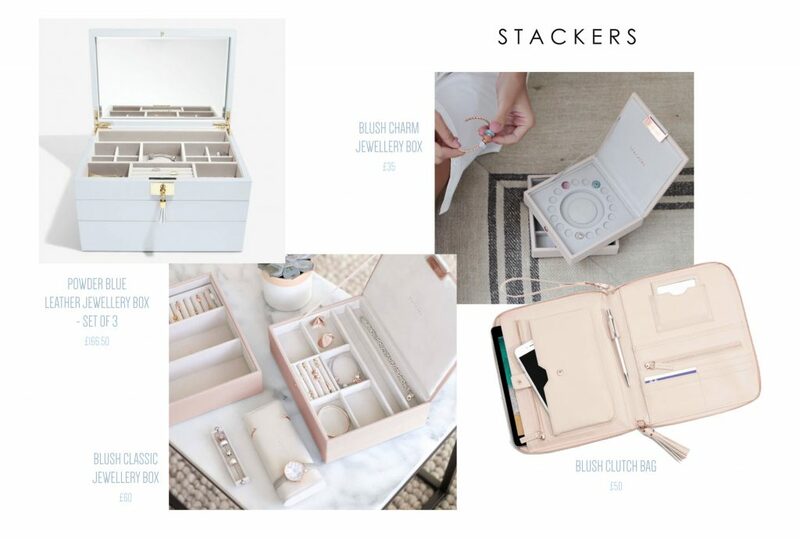 My favourite is the Blush Classic Jewellery Box which provides three tiers of storage. But if you are looking for something extra special, the Powder Blue Leather Jewellery Box is amazing! Or the smaller Blush Charm Jewellery Box is perfect for someone who has just started collecting charms. Another one of my favourite picks is the fabulous Blush Clutch Bag which is practical and chic! All are available direct from Stackers.com. 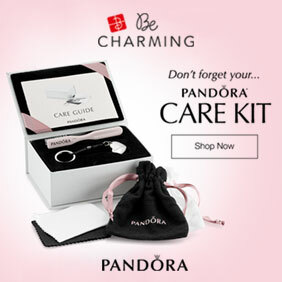 In the recent weeks my mail box as been inundated with requests from kind boyfriends and husbands searching for the best PANDORA Disney Park charms. The most popular are the Cinderella Castle and Minnie & Eiffel Tower pendant charms. My absolute favourites are the Peter Pan and Mickey Globe pendants which I have in my collection. Or if they prefer their Disney characters to be naughty and not nice, the Disney Villains Cham Set is perfect! 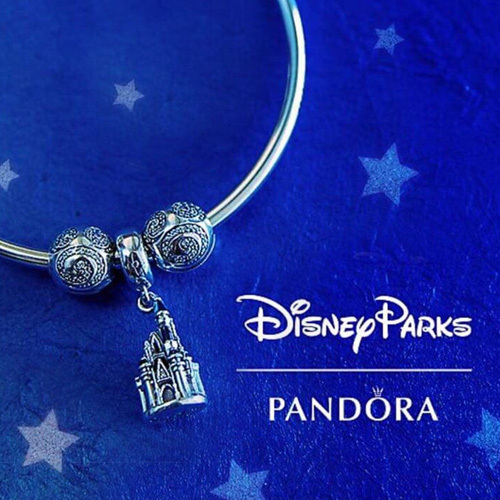 PANDORA Disney collectors will also love the Walt Disney & Mickey Partners Pendant and the Fantasyland Castle 2019 charm. All are available online at ShopDisney.com.